My time is now divided between the garden & yard, the house work and creating new recipes. We had 2 inches of rain over the past 4 days so I have no watering to do, but with the rain comes weeds and the grass needs cutting more often. But I love summer and being outdoors! 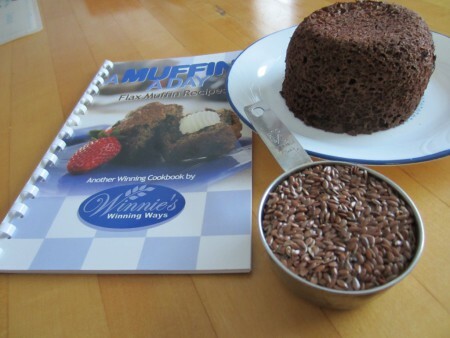 Last week I made these two muffin recipes for our family. 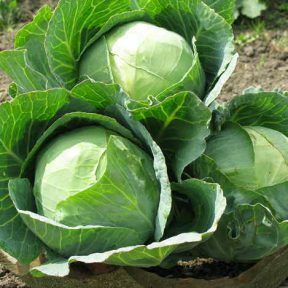 They are great for diabetics and all of us who are trying to eat more nutritious foods. The carbs and fibre are listed for anyone who wants to count carbs. 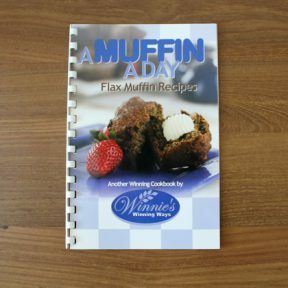 A MUFFIN A DAY cookbook is also full of delicious flax muffin recipes that can be frozen to take out whenever one wants to enjoy one, or two! 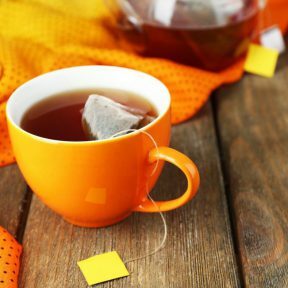 Flax is a very nutritious seed that is great for our health – diabetics, heart health and as well fighting cancer and many other diseases Flax benefits are endless! See below for baking instructions. Put the dry ingredients into the ungreased mug and mix. Add the wet ingredients except the nuts, chocolate chips or berries. Mix well. Stir in the nuts of choice and then stir in ever so slightly the blueberries or chocolate chips. I try to space them so they won’t end up being all in one area or at the bottom of the muffin. I have used either of the 3 above suggestions for sweetener and they are approximately the same. If you are using fresh blueberries or chocolate chips, microwave for 90 second. If you are using frozen berries, microwave for 1 minutes and 40 second. The muffin is now done! I guess the time will depend on the size of your microwave. I could tell when it was done as the surface was baked in the centre so these times were right for me. As I was working on the times, I just added 20 more seconds until I was sure it was baked. Then I made one with the added time, and it was correct. Dump out to a dish when hot.